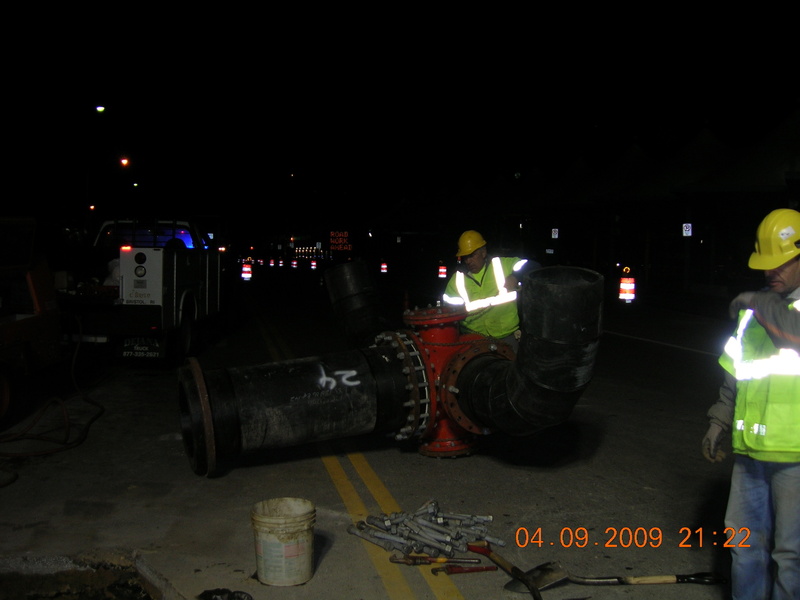 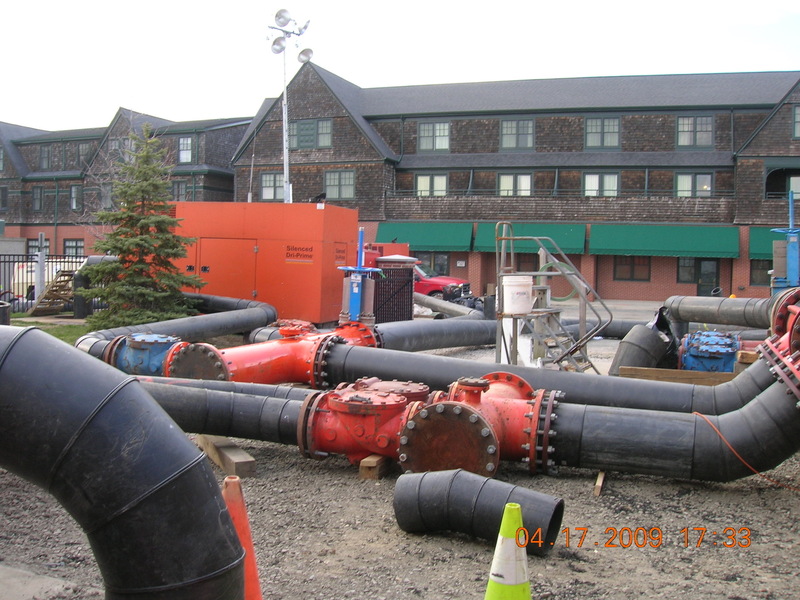 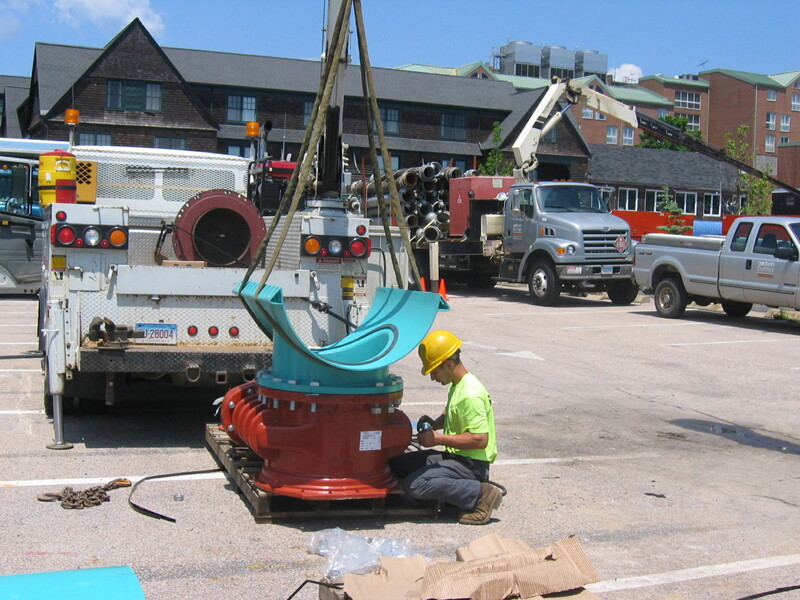 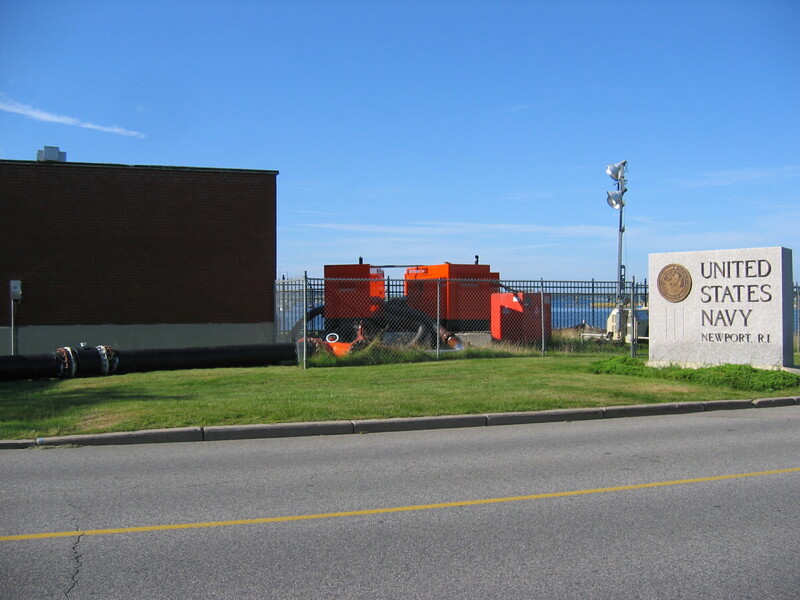 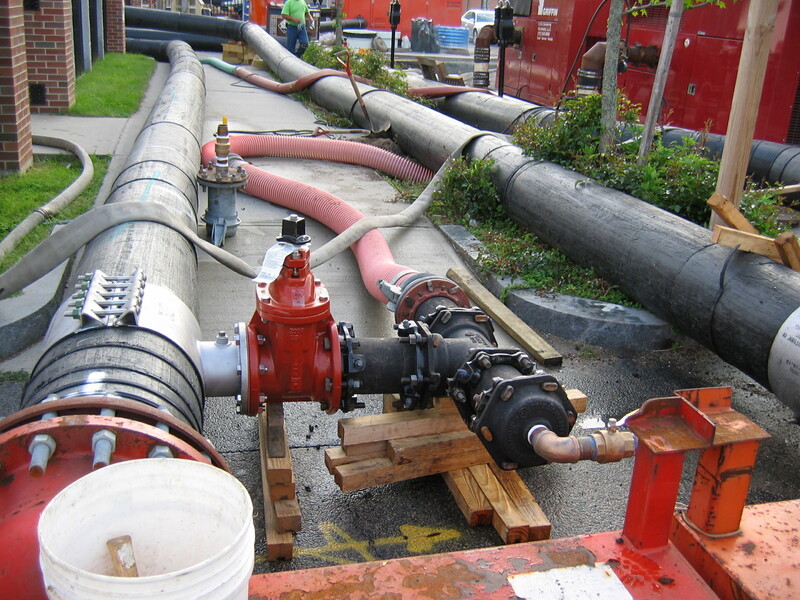 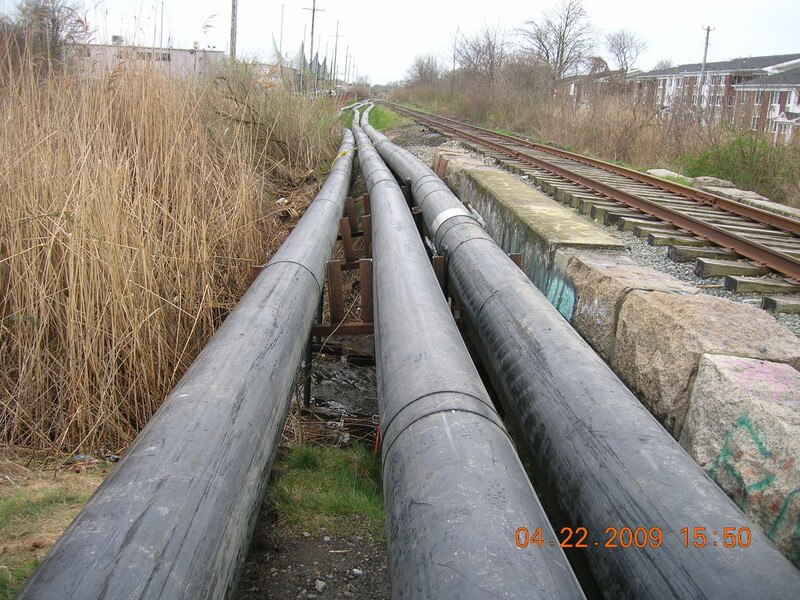 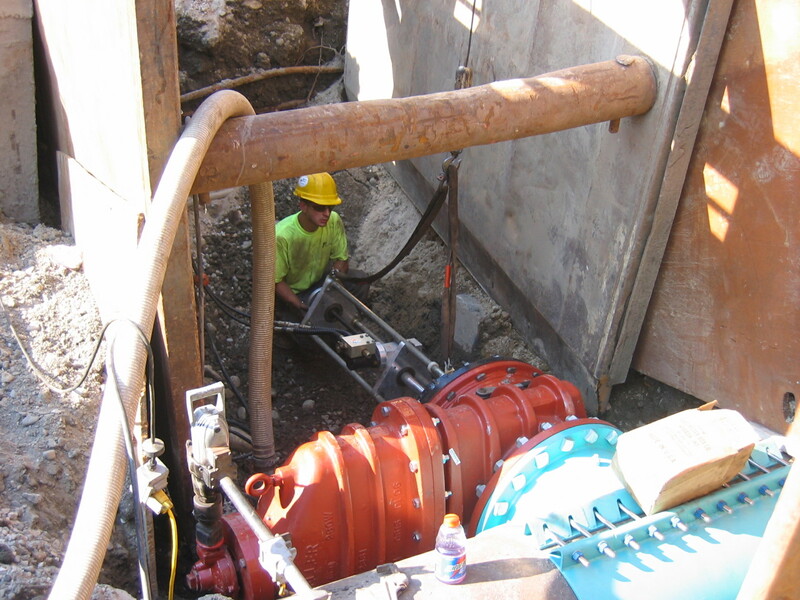 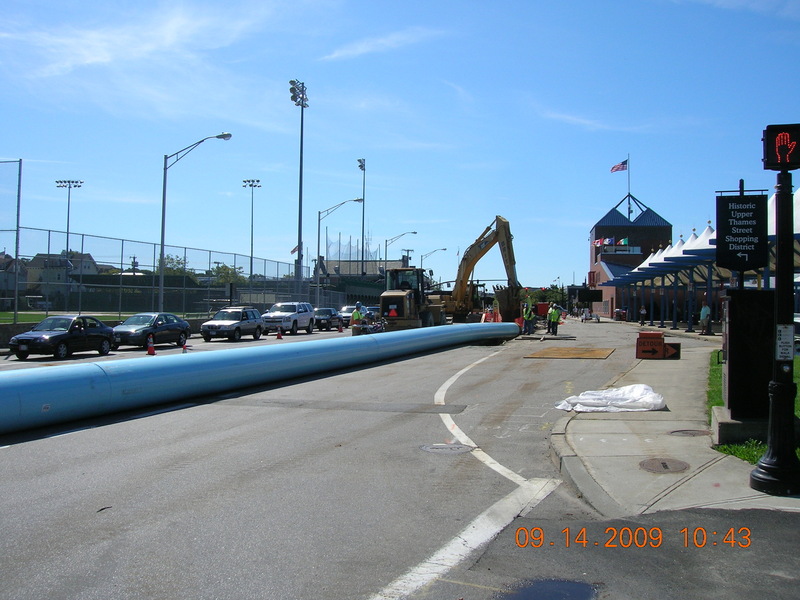 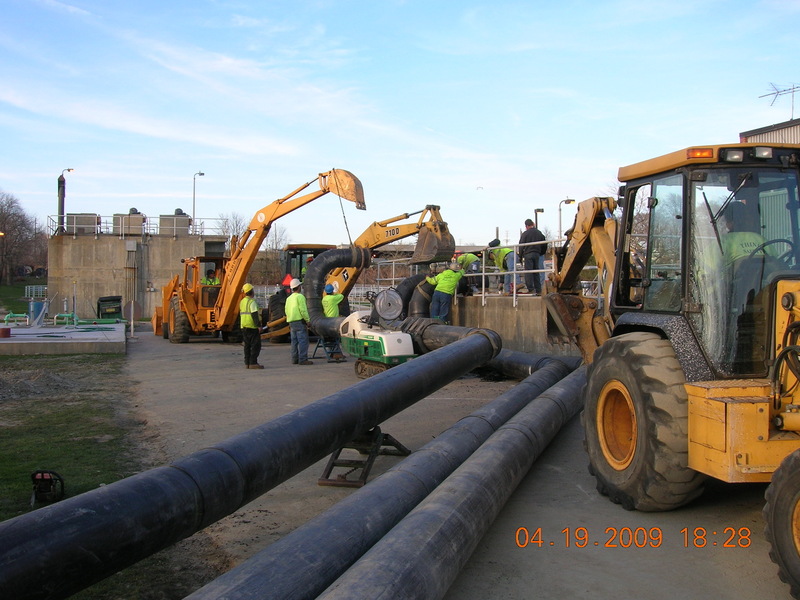 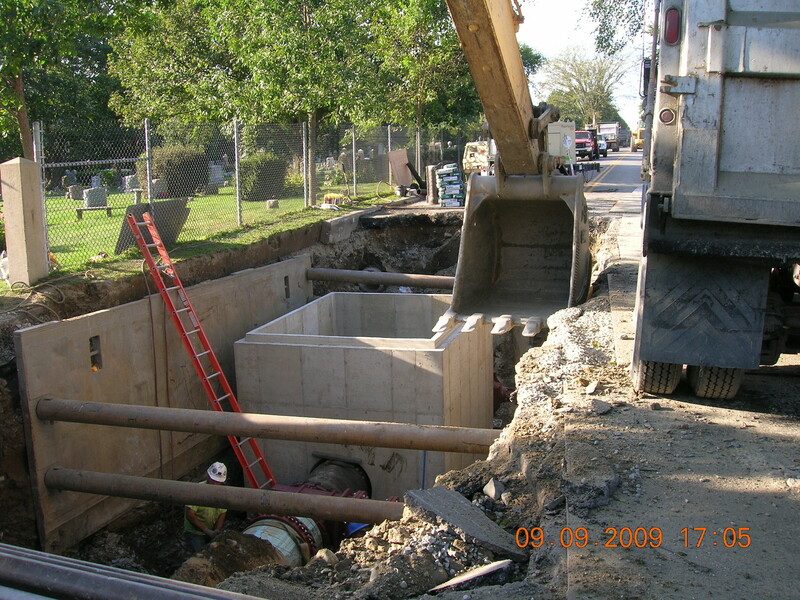 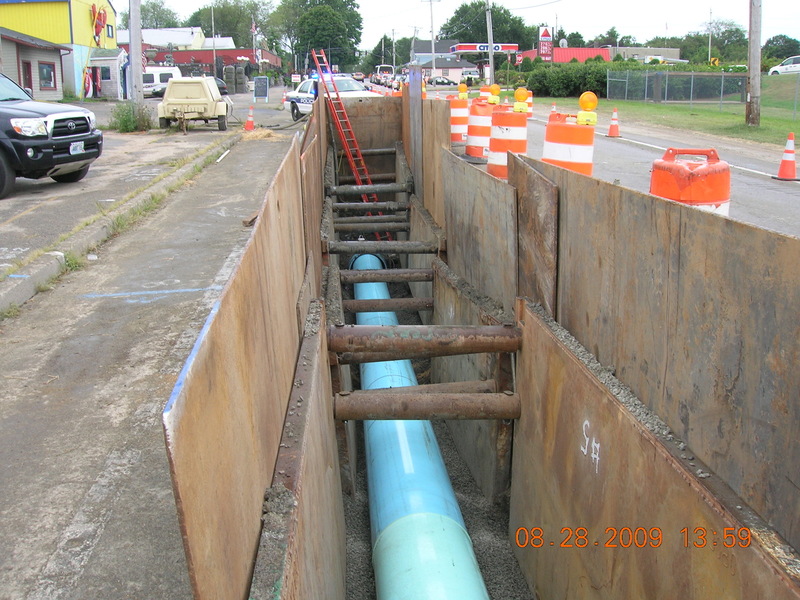 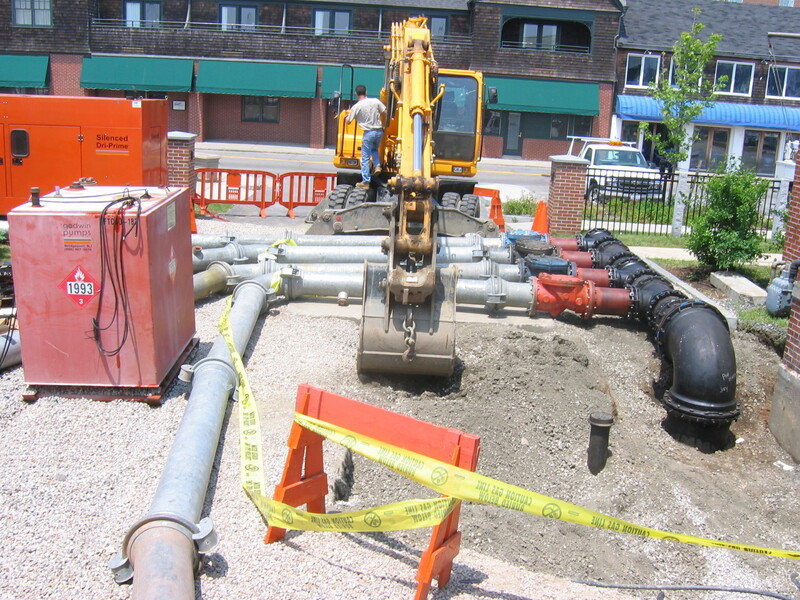 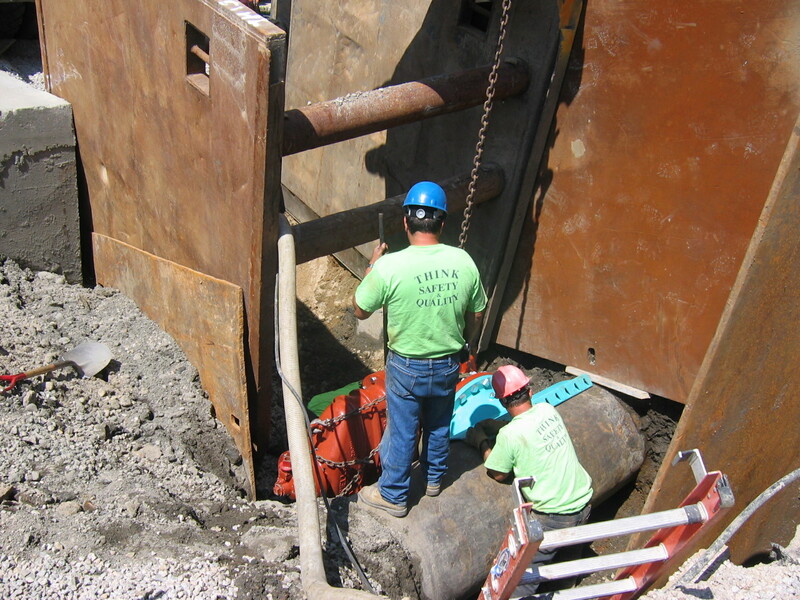 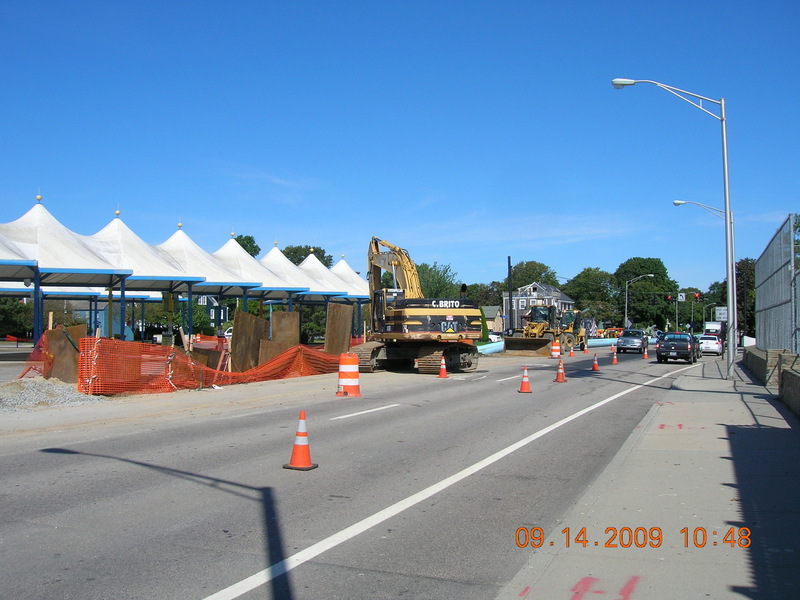 Complete bypass of 36” sewer force main with 37,000’ of 18” fused HDPE pipe, including tie-ins at 4 heavy-flow pump stations avoiding millions of dollars in fines and catastrophic pollution of Newport Harbor. 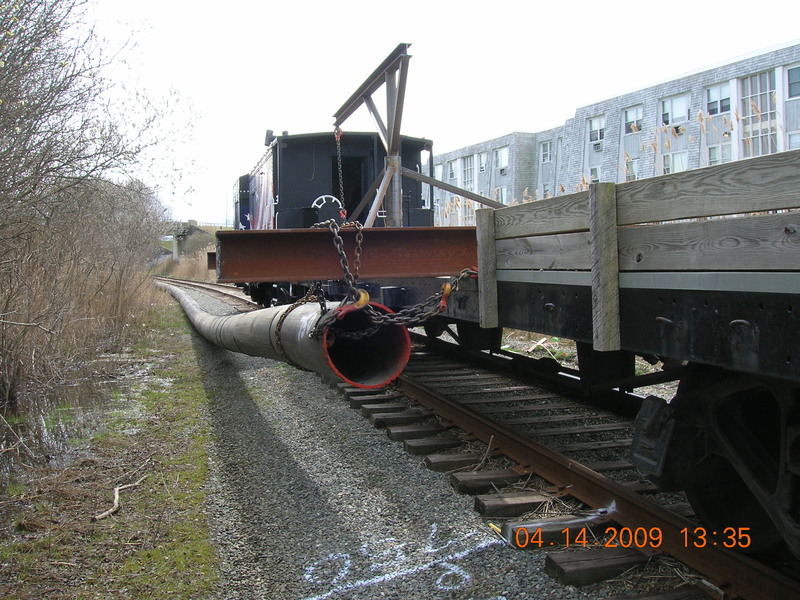 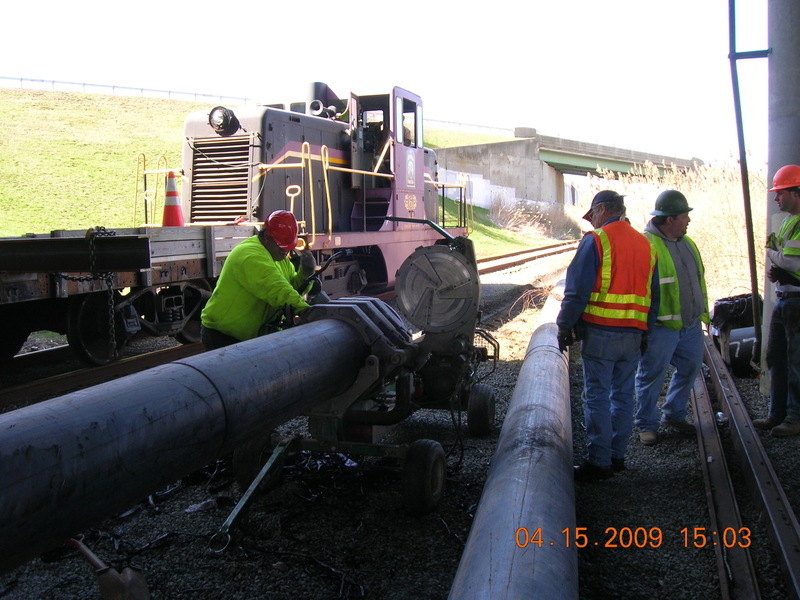 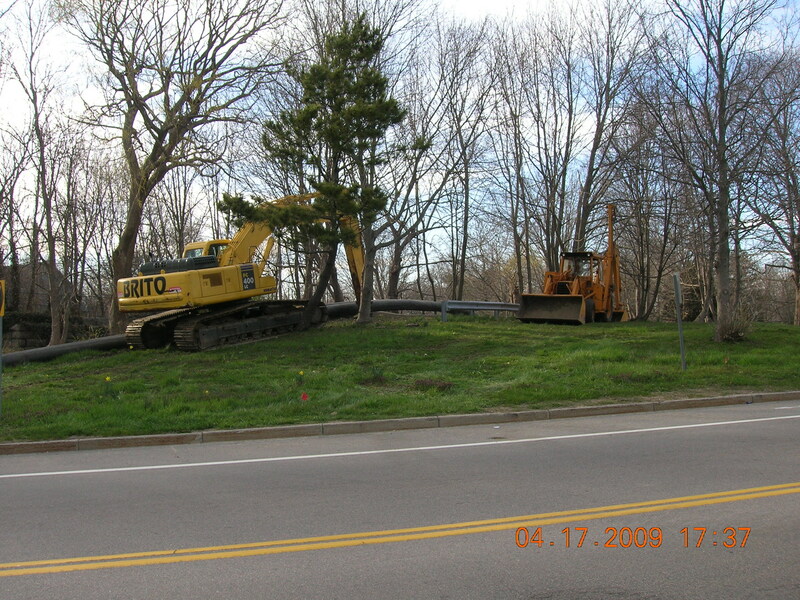 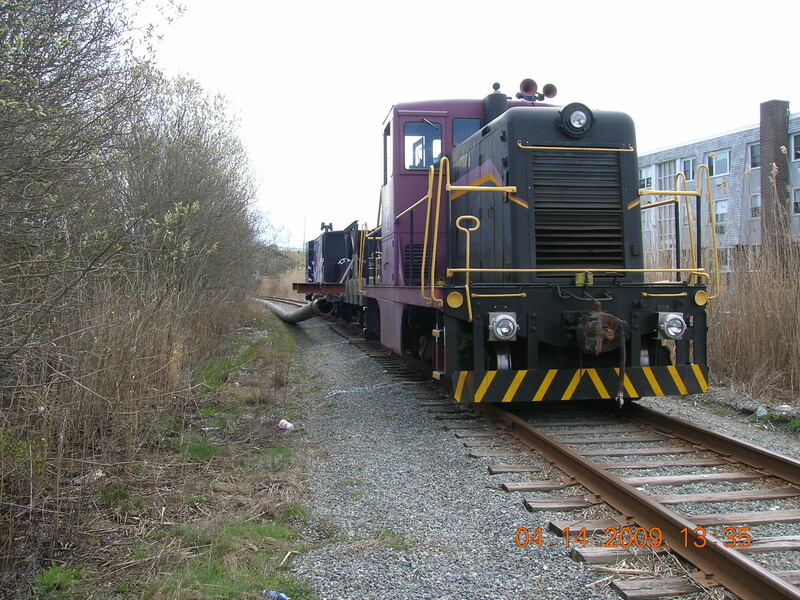 C. Brito Construction Co., Inc. established a fusing & staging area on a nearby railway where lengths were fused and and then pulled by train alongside the tracks by a custom built hoisting arm mounted on a railcar. 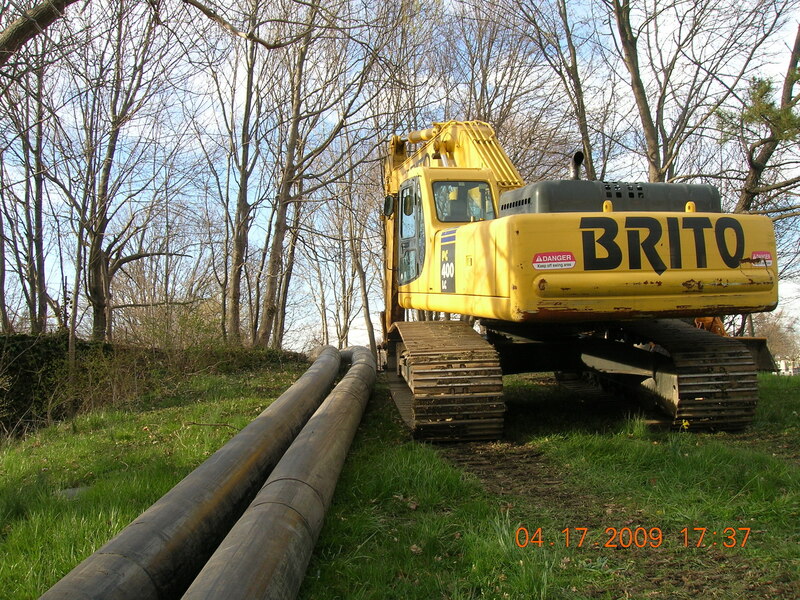 Contact C. Brito Construction Co. / C.B. 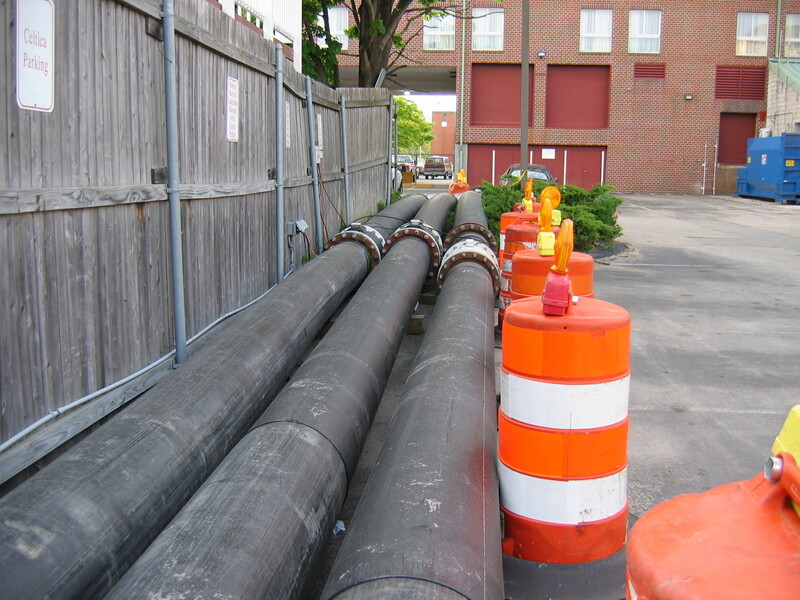 Utility Co., Inc. 24 hours per day, 7 days a week at (401) 639-1577.